Jacki is using Smore newsletters to spread the word online. Teachers should attend seminars and/or in-services to learn more about the latest skills in education. As generations change, teachers have to become accustom to ways students learn. Funding should be in school system budget to fund teachers to attend national seminars and workshop. 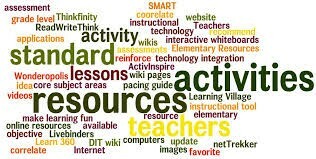 Web seminars can also take place that teachers can participate and share thoughts on blogs. Teachers can have group activities with other teachers throughout the district and country. All teachers across the country should use certain practices mainly to become equipped with the necessary knowledge that’s needed to promote students success. Practices develop thinking and problem-solving skills to induce students learning. It’s a way to build blocks for instruction to motivate, engage, and prompt students to learn and achieve. Students that are taught by teachers that are align with difficult practices connect ideas and concepts measured by standardized tests and other indicators of student success. These skills promote growth in thinking as well as writing. It's a skill that prepares students for higher learning. Strategic thinking is defined as a mental or thinking process applied by an individual in the context of achieving success. As a cognitive activity, it produces thought. 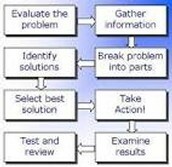 Problem-solving is the process of finding solutions to difficult or complex issues. When I first was presented with the idea of teachers meeting standards in order to keep their job, I thought it was ludicrous. Now that I have conducted research in the educational field, my feelings have shifted. In order for students to succeed, teachers must be successful in the classroom. Teachers should be accountable for a certain percentage of their student’s standard assessments. Teachers may not reach all students, however 50% or more students should be reached by their teacher. Teachers are being prepared to master ISTE Standards for Teachers standards in the classroom by attending professional workshops and actually modeling what they learn. 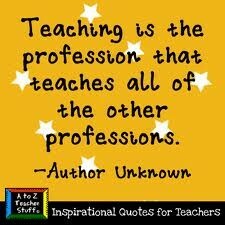 Teachers take information into the classroom and exemplify lessons to gain students understanding.